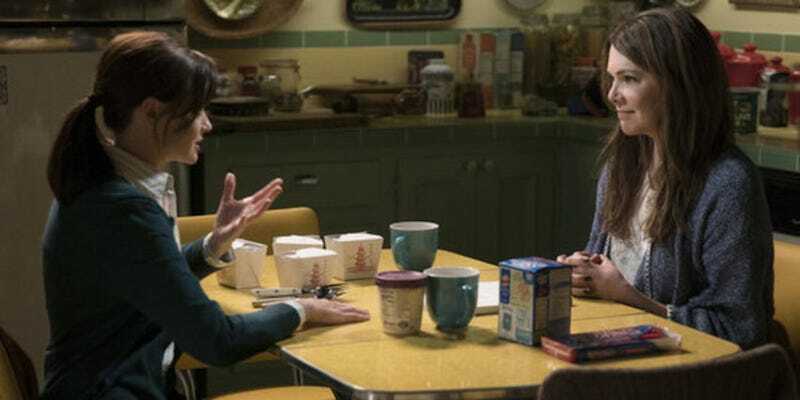 The Gilmore Girls reboot isn’t here just yet, but don’t you worry: if you are one of the fans waiting with bated breath for this to drop on Netflix, you can bide the time by stuffing your face with their official ice cream. People reports that Ample Hills Creamery, a delicious ice cream emporium based in Brooklyn, ran a contest to select a Gilmore Girls ice cream flavor that would perfectly capture that special essence de Gilmore. After over 2,500 entries (how?! ), a winner has been chosen and it is something out of your most stoned fever dream. “They Scoop Gilmores, Don’t They” is heady mix of coffee and chocolate pudding ice cream, snickerdoodles, complete with pink Pop-Tart sprinkles, for funsies. Does that sound...appetizing? Does that not sound like the result of an ill-advised Coldstone Creamery visit after getting really, really high in the parking lot? Why would anyone want to eat this? If you want to eat ice cream that sounds like it was composed by a five year old who just discovered sugar, They Scoop Gilmores, Don’t They? is available for nationwide shipping now.